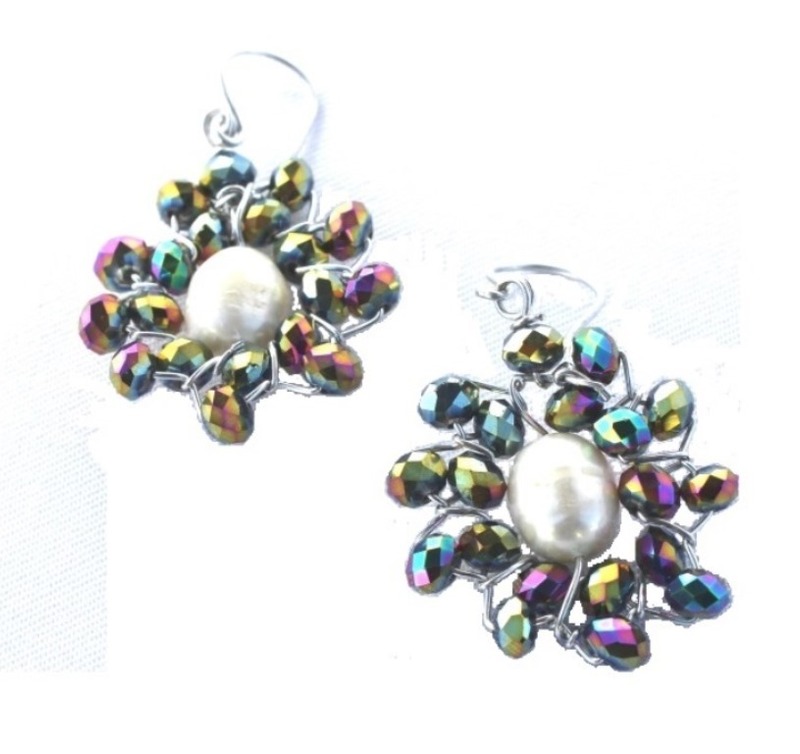 These earrings are made up of a single fresh water pearl center surrounded by green toned German crystals artistically wired to form this piece of art. Hook closures. This stunning bracelet is made up of 3 freshwater pearls surrounded by black and champagne German crystals on an aluminum backing. Adjustable to fit any wrist. 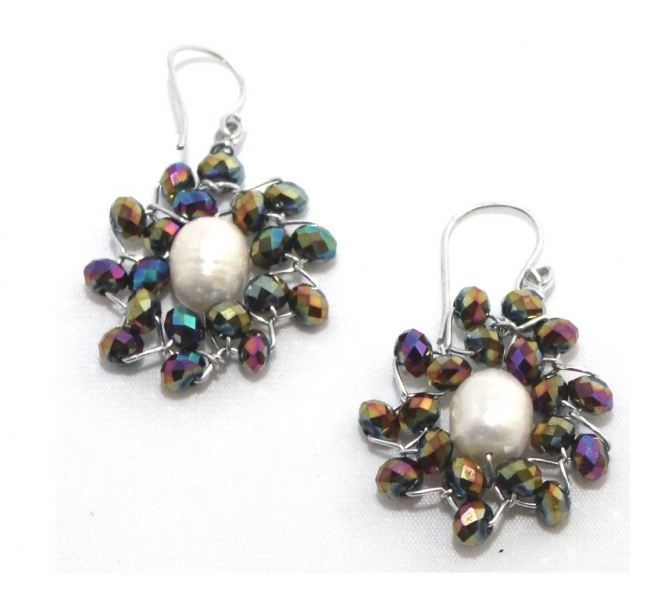 Perfect to shine at any holiday party. This stunning braided necklace is designed to form a round fashion piece. It is made up of green beading with pops of turquoise, gold, silver, and light green beads with gold plated aluminum end pieces. At every angle you turn, a hint of sparkle from these beads pop right out. A true classic beauty. Adjustable lobster clasp closure.